Whether you have been feeling back pain because of a chronic issue or have recently been suffering from back pain because of an incident, you know what it means to sleep uncomfortably. You know the advantages of a good night’s sleep and you know how to get it—with a quality mattress. Whatever the cause of your back pain may be, the quality of your mattress can make a huge difference in your pain and how long you have to suffer from it. Especially if you want to get up, have a great morning and go through your day as pain-free as possible, the best mattress for back pain can help. 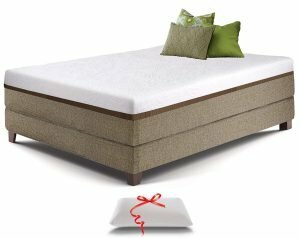 In this article, we’re going to be presenting you with specific information to help you pick out the best mattress for back pain. A purchasing decision like this one can be made based on certain features of the mattress, like the firmness, filling, layers, thickness or warranty. It’s important to know the details of these features of a specific mattress before you buy. 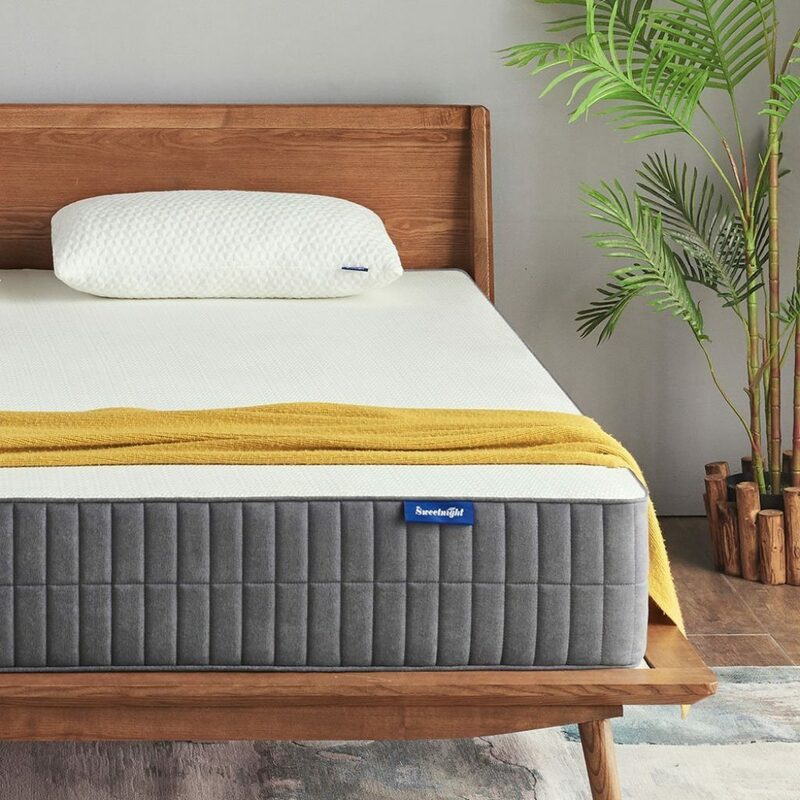 Through hours of research looking through various product lines of the best mattresses, we’ve put together this article with all the great choices included. From our comparison table to in-detail reviews of each product to our final buying guide to help you make your purchase, we hope that this article can help you choose the best mattress to help you not only sleep without pain but also prepare for the day ahead. For the best all-around mattress for back pain, the Casper Sleep Mattress is truly one of the best. 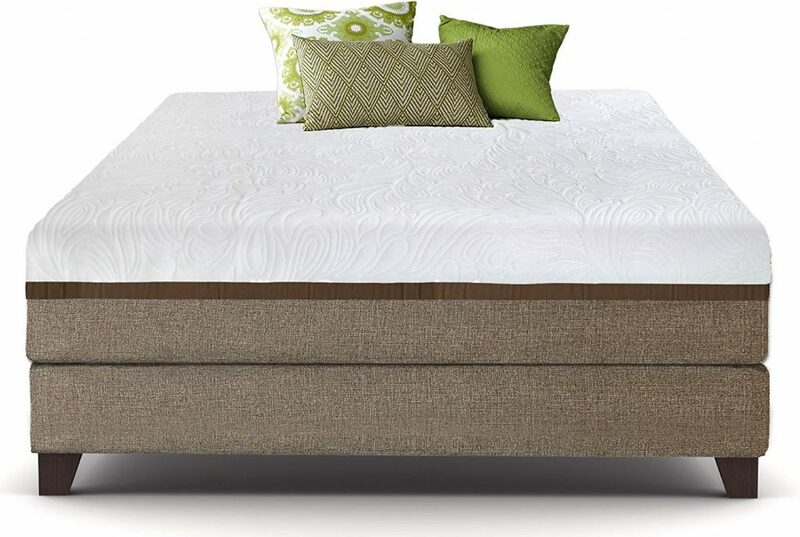 Feel like you’ve never felt before after a good night’s sleep on this mixed foam mattress. 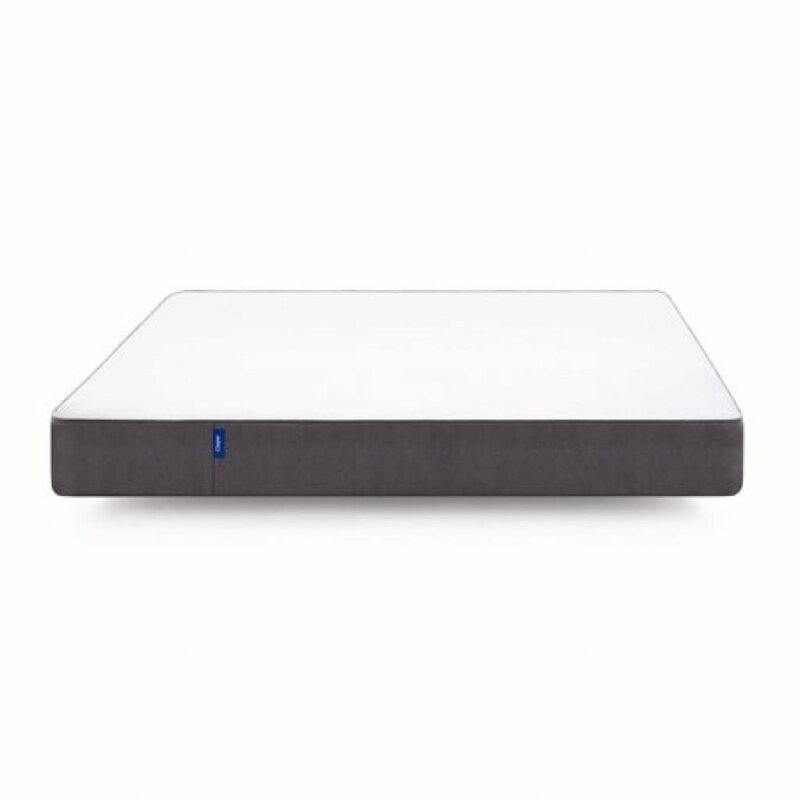 Designed with four, distinct layers, which is more layers than any other mattress on this list, the Casper Sleep Mattress has 5 inches of poly support foam, 1.5 inches of proprietary transition foam, 1.5 inches of memory foam, and 1.5 inches of open-cell foam. Not only is the interior a dream of comfort, the outer skirts of the mattress are, as well. The cover of the mattress is made with 100 percent polyester, designed to be soft to the touch and comforting as you sleep. Although you can only choose one firmness option for all standard sizes—each of them being 10 inches in height—it is the perfect amount of firmness you could want to support your back, leaving no necessary reason that you would need any other choices. 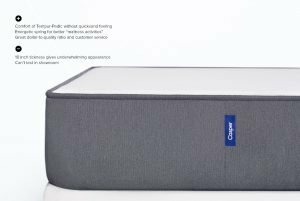 Since 2014, the Casper brand has been a leading beacon in the mattress market, accentuating each product with value and quality. 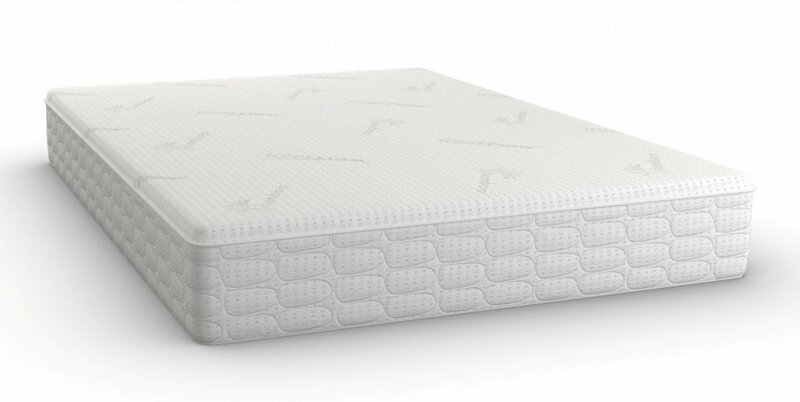 This particular mattress is perfect for contouring and pressure relief founded and based on the memory foam. What sets this mattress apart, however, is the cool and responsive surface. 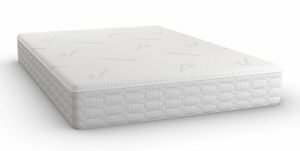 The Casper Sleep Mattress also has open-cell foam, which makes the mattress feel even bouncier and more temperature-regulated. As one of the most versatile mattress choices on the market, the Muse Sleep Mattress is great for either neck or back pain since it has THREE different types of firmness levels. If you are looking to choose a particular level based on your pain, you can choose between soft, medium or firm. Not only does it give you options, you can also rely on the Muse brand, with the highest-quality materials to give you the best night’s sleep. Designed and made in the US, the Muse Sleep Mattress has a removable, washable mattress cover to make it easy to maintain, wash, and is even designed with quality—unique Diamond Breeze yarns. 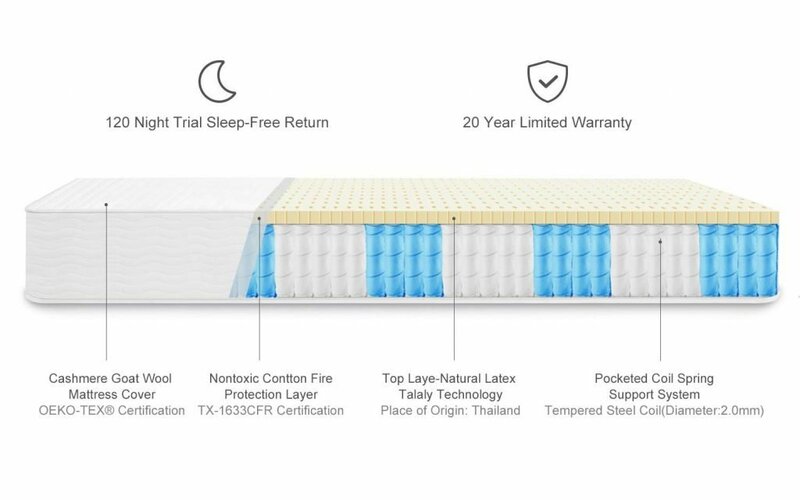 This mattress is built with phase-changing material, which means it absorbs ambient temperature—meaning, even if it‘s hot inside or out, your mattress will stay cool. 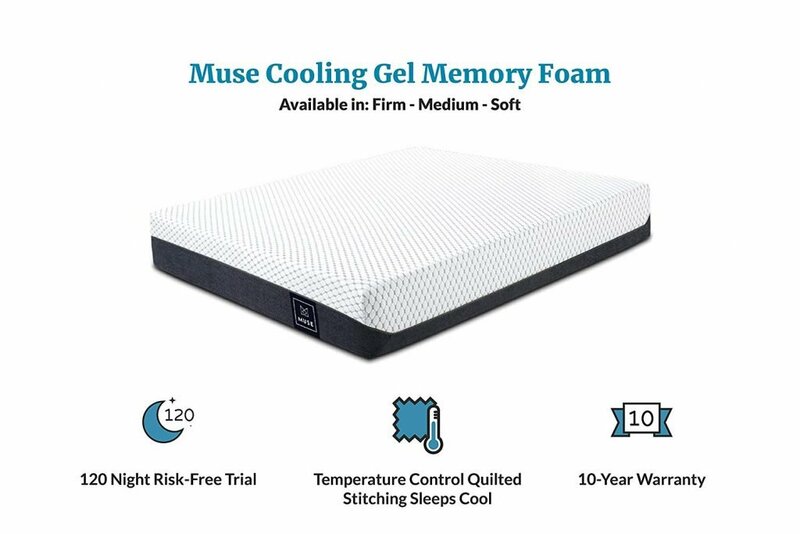 With this innovative cooling technology, designed with a gel-infused foam and a cool-to-the-touch cover, you can try it for yourself with a 120-night sleep trial. Not only does it give you three choices of firmness, the brand also offers a sleep quiz to get you started and the trial to help your sleep experience. Just as the name suggests, get an excellent night’s sleep as you and your partner snuggle away on the Snuggle-Pedic Mattress. 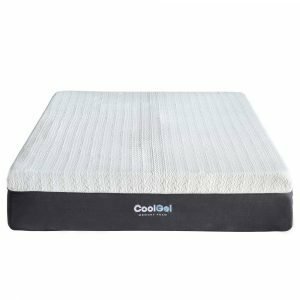 Known for its Patented Airflow Transfer System, you’ll get the breathability you need to get a cool night’s sleep on the Snuggle-Pedic Mattress. It is specifically designed to help your body heat dissipate so the warmth doesn’t bother you while you asleep. 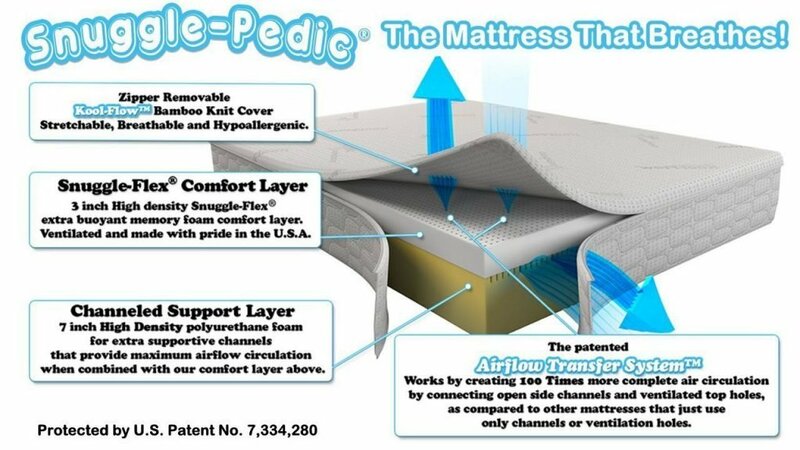 This is done by allowing 100 times more airflow than normal mattresses, from the small surface holes found in the mattress. Not only does the mattress keep you cool but so does the Kool-Flow® Extra Breathable and Soft Micro-Vented Cover. If you’re sleeping with a partner—and snuggling, of course—you‘ll love the extra buoyant memory foam so that the motion transfer is decreased if one of you happens to be rolling around at night. The Flex-Support Technology found in the Snuggle-Pedic is the pressure relief you’ve been looking for for your back. It doesn’t only offer pressure relief but also is lightweight and easy to move around it. Although it only has 2 layers, the small number of layers in the structure will allow it to be softer or of medium density memory foam. 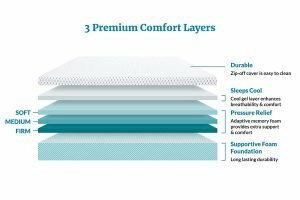 With this type of memory foam, you’ll have extra cushion for the shoulders and hips—while the firmer, more buoyant high-density based layer provides the spinal support needed for the back. The Sweetnight Mattress can help solve any sleeping problem you may have. With a queen mattress size and with three layers of an all-foam system, you can definitely rest assured that you’ll be getting your money’s worth with quality. 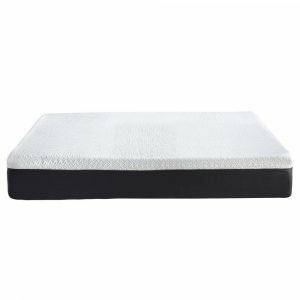 The Sweetnight Mattress has improved support and heat dissipation, which can help with not only keeping yourself cool but also helping those who suffer from back pain and can often toss and turn during the night. Especially if you are sleeping with a partner in bed, you’ll want to disturb the other one as little as possible. This mattress helps discourage transfer of movement. You’ll also feel rejuvenated the morning after sleeping on this cool, plus 12-inch gel foam mattress—which is saying something when you have back issues. 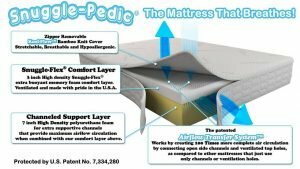 A great feature that sets the Sweetnight Mattress apart from other mattresses out there is the fact that this CertiPUR-US is health and hypoallergenic. To make sure you are getting high-quality, this certified foam was made with harmless substances like formaldehyde, mercury, and other heavy metals. The soft, rayon cotton cover and comfortable foam mattress is naturally hypoallergenic and resistant to allergens, mold, bacteria, and dust mites which means that not only are you getting great sleep, you’re also going to feel it on the inside, too. 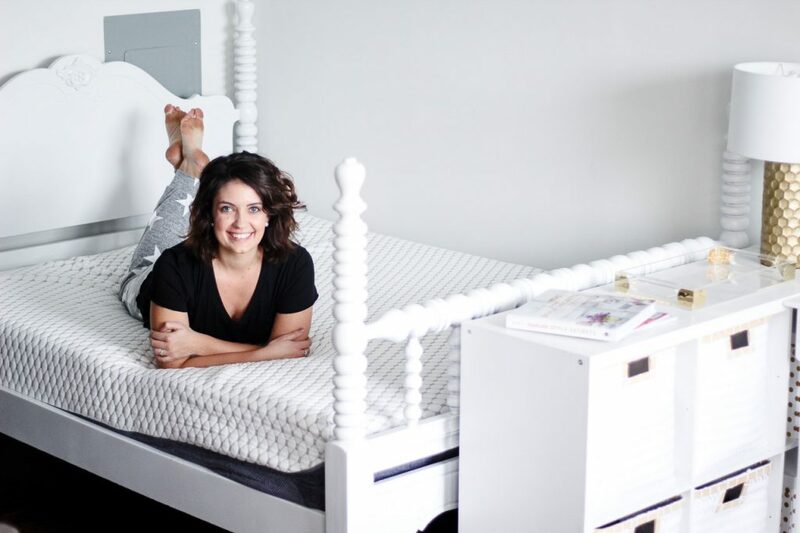 The 5.5” high-density foam will offer proper back support and alignment, which is great for those who have back problems—and helps resist sagging and roll-off that are average with other mattresses. 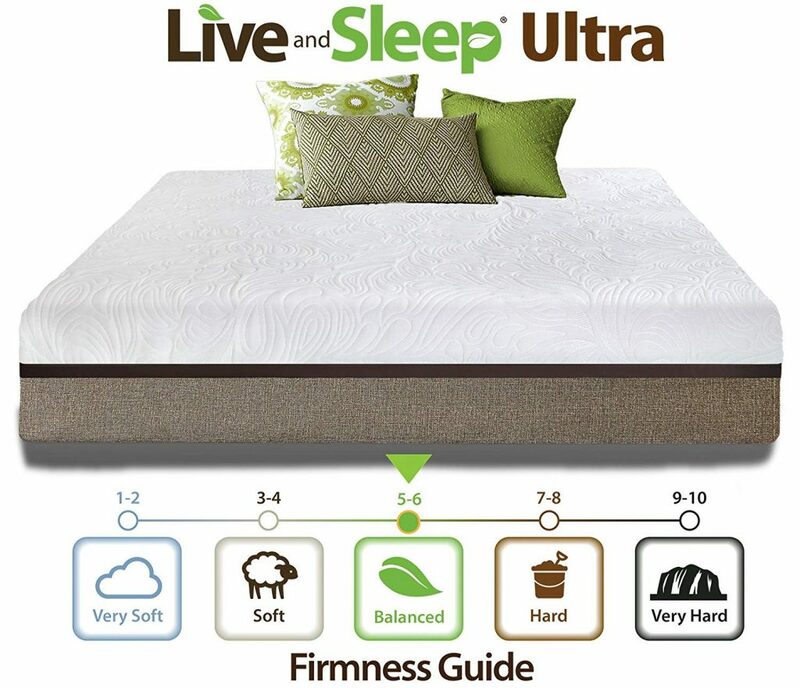 The Live & Sleep Ultra Mattress is a three layered, medium-firm mattress that is designed with luxury memory foam and can get you the comfort you need and the sleep experience you want—which might be hard to come by if you’re suffering from back pain. However, with this mattress, the last thing you’ll need to worry about is discomfort. 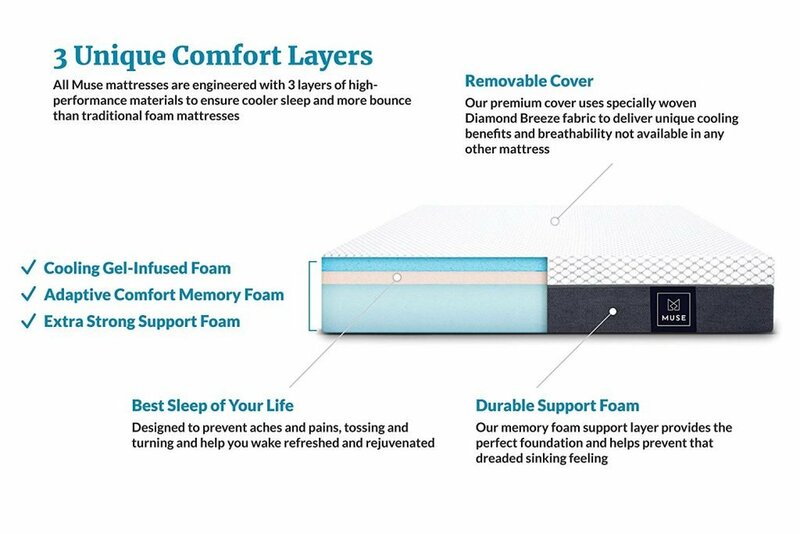 The Live & Sleep Ultra Mattress has been deemed our Best Mattress for Lower Back Pain and also has CERTIPUR-US® CERTIFIED foam inside. What sets this company apart are the perks of free 2 business day shipping within the continental U.S. and the brand name’s charitable background. For every purchase of the mattress, part of the total price will go to charity. Along with the 20-year warranty, this brand also offers a 100-night, no-hassle return policy. The three-layered mattress is not only stacked with quality, it is designed with premium memory foam, gel-infused cool memory foam, and high-density performance core support base. You can also enjoy the soft cover that comes along with it. 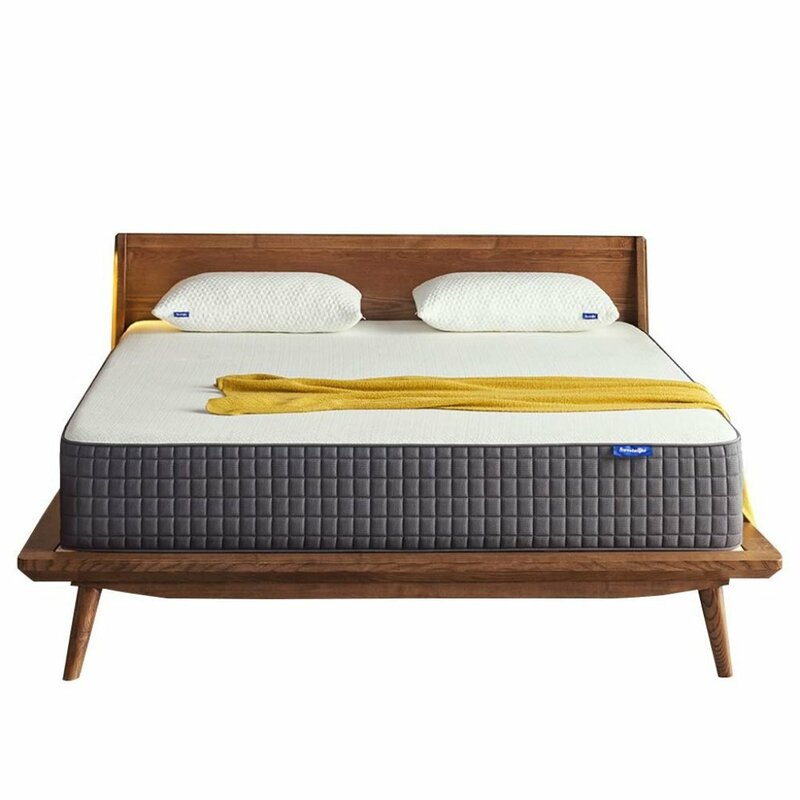 When you’re looking for luxury for your lower back pain—it might be hard to find, but Live and Sleep Ultra Mattress might come pretty close. 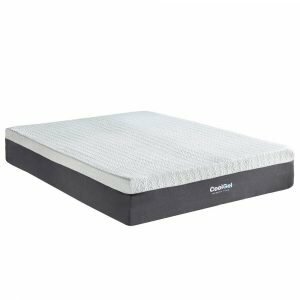 The Classic Brands Mattress is the epitome of luxury, with its waterfall edge cover with the four-way stretch top and charcoal gray knit sides, you can rest assured that you’ll be getting what you’re looking for with modern style. The Classic Brands Mattress boasts 12 inches of cool gel memory foam, which not only allows you to move without bothering your partner but also provides you with a cloud-like luxury feel. Two leading sleep technologies fuse together to not only absorb but also displace the heat derived from your body. This means that you will not only sleep in comfort because of your lack of back pain but also because of the cooling temperature. 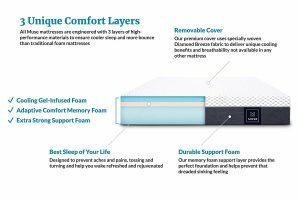 The Classic Brands Mattress is designed so that it has body-contouring memory foam, which can reduce pressure points and properly align the spine, making it fit the bill for the perfect mattress for upper back pain. This mattress is self-ventilating, which means it runs off of maximum breathability, leaving you with a cool gel that regulates temperature and helps you stay cool. The mattress is also naturally antimicrobial and resistant to allergens, mold, bacteria and dust mites. The medium-firm feel and the resilient foam actually helps prevent or reduce tossing and turning during the night. The Sunrising Bedding Mattress is surprisingly soft for such a firm mattress. 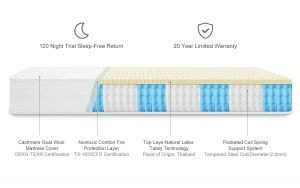 With only two layers, made of Talalay latex and pocketed coils, the mattress seems to be one of the more “basic” mattresses for back pain—but still can get the job done. Although at first, because of its construction you may think its basic—however, the Sunrising Bedding Mattress is quite luxurious, coming with a Cashmere Wool Cover cashmere as a mattress cover. This feature is what truly sets this one apart from the rest, with its ultra plush, lofty and airy-light feel. 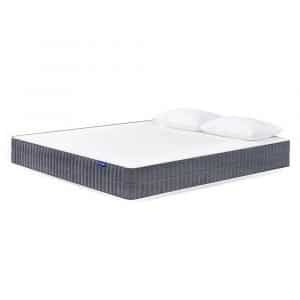 The mattress also has a number of great features as one of the Best Mattress for Side Sleepers with Lower Back Pain. It also great for your health and the environment around you as an anti-pilling, anti-Bacterial and mites/fire proof fabric. It actually uses the same exact fabric that is used in some bulletproof vests. Backed by the U.S. Consumer Products Safety Commission (CPSC), the 100% organic latex from Thailand is not only great to sleep on, the technology makes it much lighter and more airy—giving you that bouncy, contouring and healthy sleep you’ve been looking for. It also is designed with a pocketed coils support system, which means that it will survive and overpass the 20-year warranty, with its quenched and tempered steel. Who says you can’t have luxury on a budget? 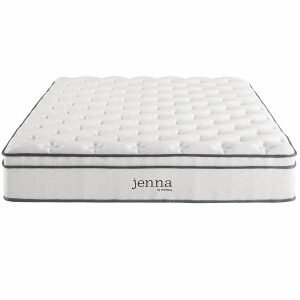 The Modway Jenna Mattress is the perfect choice if you’re looking for a firm, yet comfortable mattress. 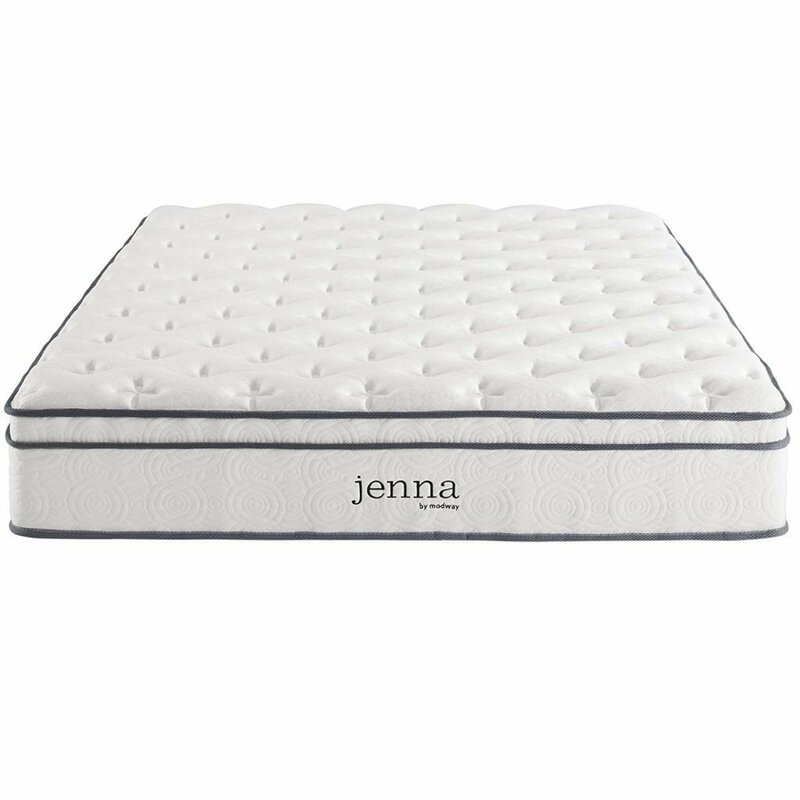 Certified by Certi-PUR and with its polyester-quilted cover, the Modway Jenna Mattress is a standard-reaching mattress that can bring you the quality of sleep you’re looking for. Whether you sleep on your side, back or stomach, the Modway Jenna Mattress is a great mattress to have underneath you. 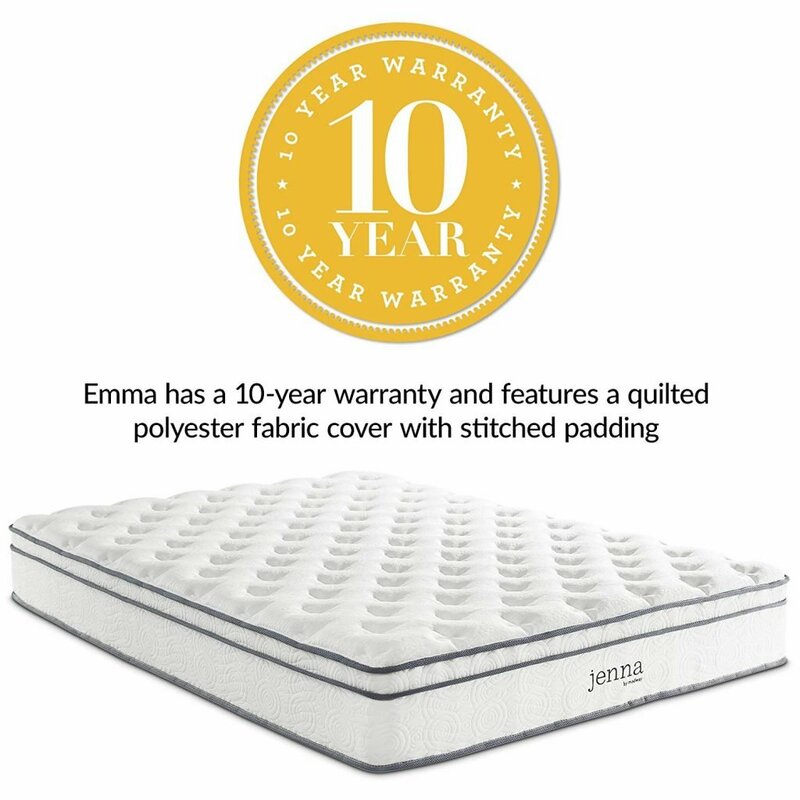 The Jenna 10” Innerspring Mattress is built with individually-wrapped pocket coils that make sleeping with a restless partner easy—the mattress does its best in isolating the motion between sleeping partners. The 8.5” tall coils come padded underneath two layers of foam for maximum comfort and giving your back the support it needs. It also relieves pressure not only on your back but also your hips and shoulders with its quilted polyester tight-top surface. The firmness of the innersprings makes it so the Modway Jenna Mattress doesn’t sag and doesn’t sink—like you may find with foam and air mattresses. Shipping is also made easy as it is compressed and rolled into a box for easy delivery. Especially if you are an older adult, chances are that you’ve experienced true back pain at least once or twice in your life. However, this back pain is normally after a particularly hard day or task. For millions out there, unfortunately, back pain has become a chronic condition, plaguing their everyday tasks. It has an effect on the way a person may be feeling and how their health is affected by that. This is what makes a seemingly everyday task, like choosing a mattress so important. Which mattress you choose can help or hinder your chronic condition. Choosing the right mattress for you and your pain can help alleviate some of the pressure in your back—especially in those areas where you are most sensitive. Depending on the mattress you choose, certain ones are best for certain areas. 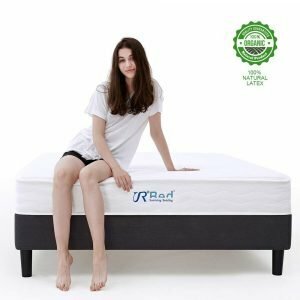 For example, the Classic Brands Mattress is a great choice if you have upper back pain and the Muse Sleep Mattress is geared to best help neck pain more. On the other hand, if you invest in the wrong mattress, you may not only be aggravating your pain but also possibly causing new painful areas to spring up. That’s why it is so important to look for features like body-contouring, support, and preferred sleep position—to be able to pick out the best mattress for you. Find the reason – what causes back pain? If you are suffering from back pain and yet have gone to the doctor, you might be wondering what is causing it—other than your springboard, lumpy mattress, of course. An unhealthy spine in your back can be categorized under two different types: acute and chronic. Back pain that is chronic has been with you for a long time—unfortunately—usually around 2-3 months at least. Chronic pain can be due to a muscle imbalance, an injury or a physical, medical issue like scoliosis. Back pain that is acute has been with you for a short time, usually less than twelve weeks. This type of pain is normally associated with a fall or a moment where you overstrained yourself. Whether you have been suffering from back pain for a long time or have recently suffered from an acute injury resulting in a painful experience with your upper or lower back—also including your neck—these tips can help you find relief. Stretch before you sleep. Right before you get in a very uncomfortable position for the rest of the night, can not only help with releasing and physical stress, but also can help release mental and emotional stress, making you much more relaxed. Invest in a massage. Whether it’s a professional one or one your partner helps you out with, a massage can help release stress and give you an overall, better night’s sleep. Exercise regularly. As if you need more reasons to exercise! Exercising can help promote a healthy night’s sleep by reducing endorphins—making you tired after you work out. It also can help you strengthen your core, lower back, and hips, which helps with reducing the strain on your back. Find the perfect position. With sleeping, of course! Some have sworn that back-sleeping is the best for pain. However, you might feel much more comfortable with sleeping on your side. The one position you should avoid, however, is sleeping on your stomach. Find the right pillow. Not only should you be finding the right mattress for your pain as this article suggests, but you should also have the right height in your pillow so you’re not putting an excess strain in your neck and upper back, as well as your shoulders. If you already suffer from pain, slow your roll when getting in and out of bed. The way you get in and out can actually aggravate your pain even more. Especially if you do quick or jerky movements—usually brought on by a loud, stressful alarm or being late for work—this might trigger some pain. Do your best to get out of bed early enough to have time to do so with slow, deliberate movements. The last two tips are not just for back pain but also for a healthy lifestyle in general—you should eat a healthy diet and get enough sleep. The amount of sleep looks different for everyone—and so does your diet based on how much energy you’re expending during the day (and other factors). If you have any personal questions about what is right for you to eat and how long you should be sleeping, speak to your doctor or a medical professional. Especially if you need the extra support for your particular back pain, the firmness of the mattress is quite important. Normally you will find that the mattress is measured as soft, medium or firm. You might hit the jackpot with a certain brand, like the Muse Sleep Mattress, which has all three options available. If you are physically more on the heavy side, you’ll benefit greatly for a firmer mattress, like the Sunrising Bedding Mattress. If you are lighter, around 130 lbs or less, you’ll most likely want a softer mattress since the firmer mattresses might not conform to your body as you need them too. You also won’t be able to enjoy those pressure points that the mattress offers other heavier individuals. 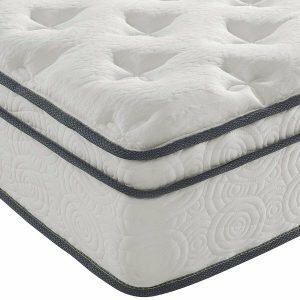 Coils and Springs: The larger the gauge numbers of the coils, the firmer the mattress is. Padding on Top: If the mattress you’re looking at has padding on top, the higher the quality—and the more expensive it probably will be. 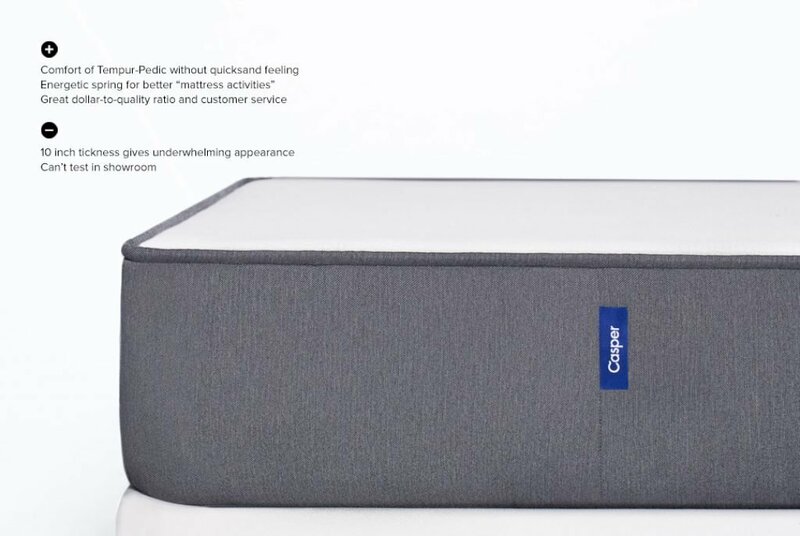 Padding in the Middle: Depending on the number of layers the mattress has—for example, the Casper Sleep Mattress has four—this number will change. Whether it’s gel-infused, poly support foam, proprietary transition foam, memory foam, open-cell foam or even high-density foam, all these smaller details can make a real difference in comfort level. You should also keep an eye on the quilting or ticking at the top: This outer layer is normally polyester or a cotton-polyester blend. 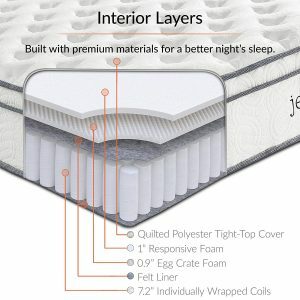 The different layers can play a huge role in the thickness of the mattress. 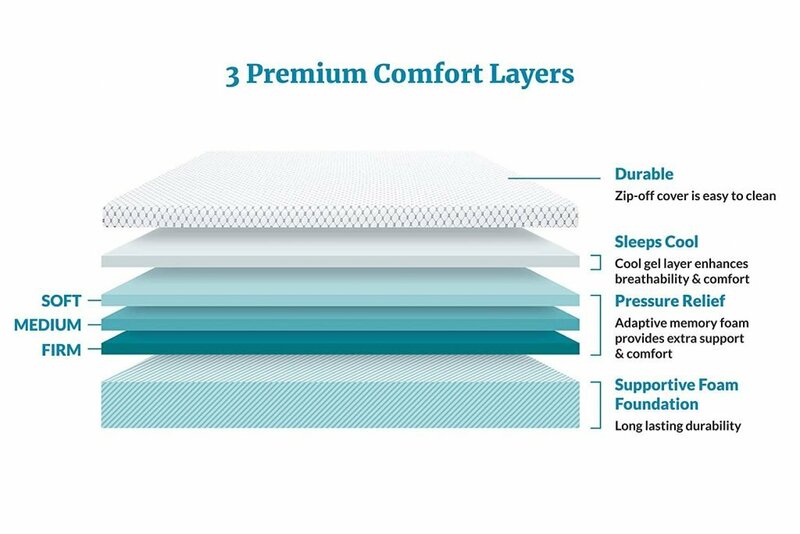 However the overall thickness of the entire mattress itself—not each individual layer—can make a huge difference when it comes to support level and comfort. 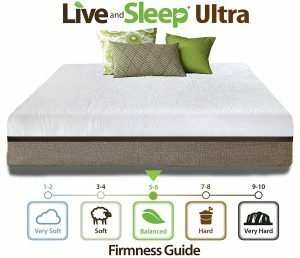 Especially if you have sciatica or another skeletal condition, a thicker mattress of over 10 inches, like the Live & Sleep Ultra Mattress—and actually all the mattresses you see here—can be extremely helpful, giving you much more support for your back. Since we just mentioned support, let’s go into detail. The support is the mattress’ capability of having a level surface. This stable surface will provide support. Especially if you have certain areas on your body that are more painful than others, getting a mattress that specializes in shoulder, spine, or hip pain can help. These mattresses have the support that alleviates pain through pressure points throughout the body. Especially if you are sleeping with a partner, you want to avoid noise at all cost. Moving around in your bed while your partner sleeps can actually be pretty disturbing if your mattress is quite noisy. 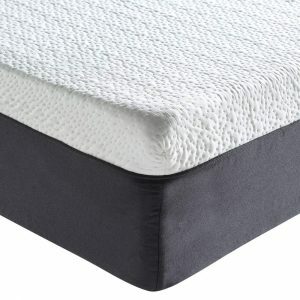 If your mattress is made with foam or latex, however, they normally will be pretty silent. Make sure you know that going in on a purchase. Mattresses that are innersprings, hybrids, and airbeds, usually make a good amount of noise. Another important feature to consider if you are sleeping with a partner is the motion isolation capability of the mattress, like with the Sweetnight Mattress. Tossing and turning and getting out of bed can disturb the other person who is sleeping. Especially if you have sciatica, you’ll tend to toss and turn much more than the person without it. The memory foam and latex models are perfectly built to conform to your body, holding an impression from your unique shape and placing pressure points on the places you need it the most. This also helps with spine alignment. The size of your mattress—not only in thickness but also in volume can be a determining factor in your purchase. There are certain mattresses, like the Classic Brands Mattress, that ships compressed in a box so it will actually be able to fit through narrow hallways and staircases without a problem until it is unpacked. If you live in an area where it is hard to get to from the front door to your bedroom, you might want to keep that in mind before you buy. Especially with the ten-year warranties on most of these mattresses, the lifespan needs to at least last seven years—which is when you should replace your mattress. The seven years is a suggestion because that is often when most of the materials inside of the mattress normally begin to degrade and break down. Once your mattress is losing its quality, that will mean that the support will be compromised—leading to more back pain. You get to try on new clothes before you buy—why not get to try your mattress too? Most of the mattresses on the market offer customers a test/sleep trial. These trials normally last about 90 nights—but can even last longer than that. Finally, you’ve decided on your best mattress but might have a few last-minute questions that you need to ask. Here are our most frequently asked questions—answered. What is the best mattress for pregnant women suffering from back pain? While you’re pregnant, a good night’s sleep is extremely important to have—and might be hard to come by. While trying to pick a mattress, try and choose one that conforms to your body, with comfort layers of poly-foam, memory foam, and latex. Since most doctors will recommend for pregnant women to sleep on their sides, a mattress perfect for this can be the Sunrising Bedding Mattress, which is rated as our Best Mattress for Side Sleepers with Lower Back Pain. What position should I sleep in to reduce back pain? As we mentioned before in this article, most people with back pain have noted that sleeping on their back actually helps take the pressure off and reduce back pain. You can even add a pillow underneath your knees so that your spine is neutral, eliminating that curve in your back. If you’re going to be sleeping on your side, make sure you insert a pillow between your knees for support. Will sleeping on the floor reduce back pain? Although you might have heard a rumor that sleeping on the floor can help reduce back pain, we’re still skeptical. If you suffer from back pain, you’ll most likely need the most supportive surface so that your spine can be properly aligned. 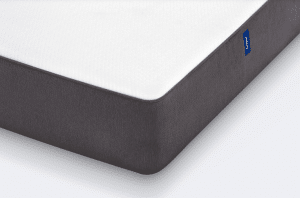 The Casper Sleep Mattress is our Editor’s choice for the best mattress out there for back pain. 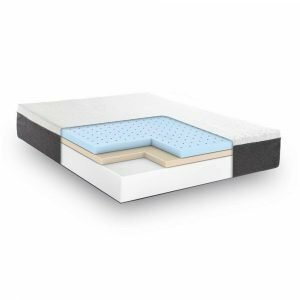 With its medium scaled support and FOUR different layers and fillings, including poly support foam, proprietary transition foam, memory foam, and open-cell foam, you can definitely sleep on this mattress to help alleviate some of the pressure points. It also comes backed by a 100-night sleep trial, and with a removable polyester cover, which is Certi-Pur certified. The Muse Sleep Mattress is our second-best ranked and rated as the Best Mattress for Back and Neck Pain. It comes in three different types of firmness—soft, medium, firm—which means you can choose which best fits you. 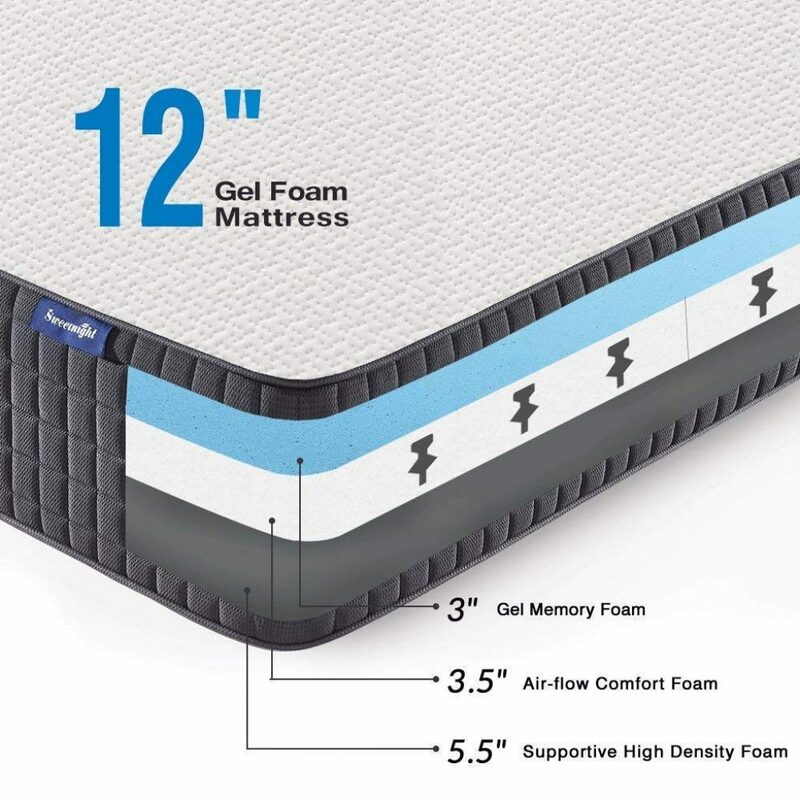 With three layers, gel-infused memory foam, comfort foam, and base foam, you can also rely on the 12” thickness and 120-night sleep trial to make sure it cares for your back pain. Lastly, being on a budget doesn’t have to mean a cheap mattress. 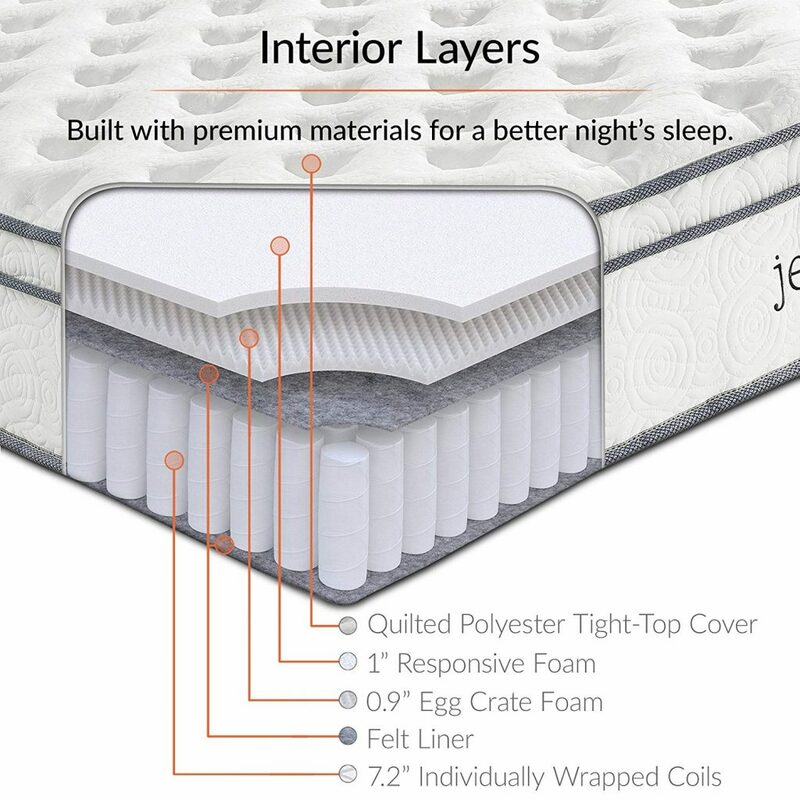 The Modway Jenna Mattress with a firm three-layer filling—responsive foam, egg crate foam, and wrapped coils—and a 10-year limited warranty can be a great solution to your back pain. We hope that our choices and this article—along with the buying guide—can help you choose the best mattress for your back pain. Sleep well!